It’s been over a week since I posted a recipe here, that’s not to say that I didn’t cook anything but there was nothing that really deserved to have it’s picture taken. In fact there were a couple of things that were so inedible as opposed to incredible that they went straight in the bin. You live and learn – buckwheat flour does not a good cookie make. So I went with something I make all the time for this post, a super simple but incredibly satisfying and deceptively healthy breakfast. 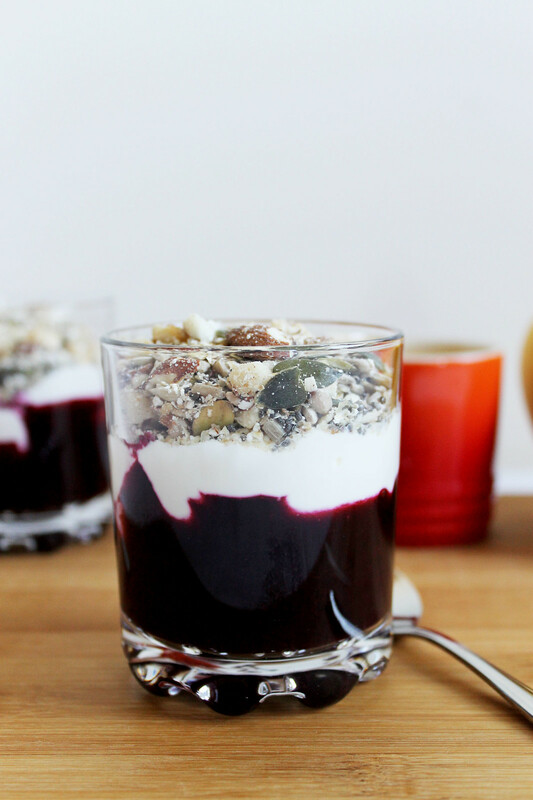 This Low Carb Yoghurt Parfait is served in little glasses just because it’s Saturday but usually chucked in a Tupperware container and taken to work. To Serve: Fruit of your choice, yoghurt of your choice. To make this low carb version I used berries and full fat natural greek yoghurt. CoYo is a great dairy alternative to yoghurt. 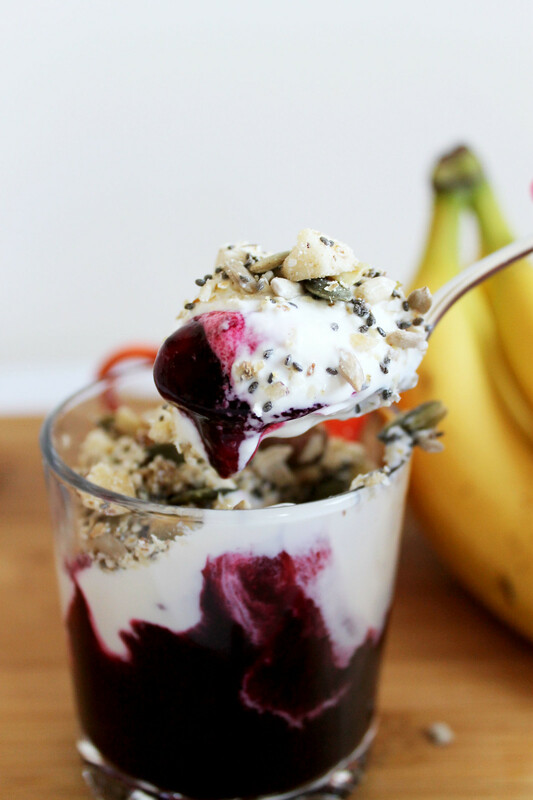 Use it and add some dessicated coconut to your muesli to give this Low Carb Yoghurt Parfait a more tropical taste! To make the muesli just put all of the ingredients into a suitable container. Pop on the lid and give it a shake. Congratulations you’ve just made your breakfast for the week. This can be served with milk or yoghurt. 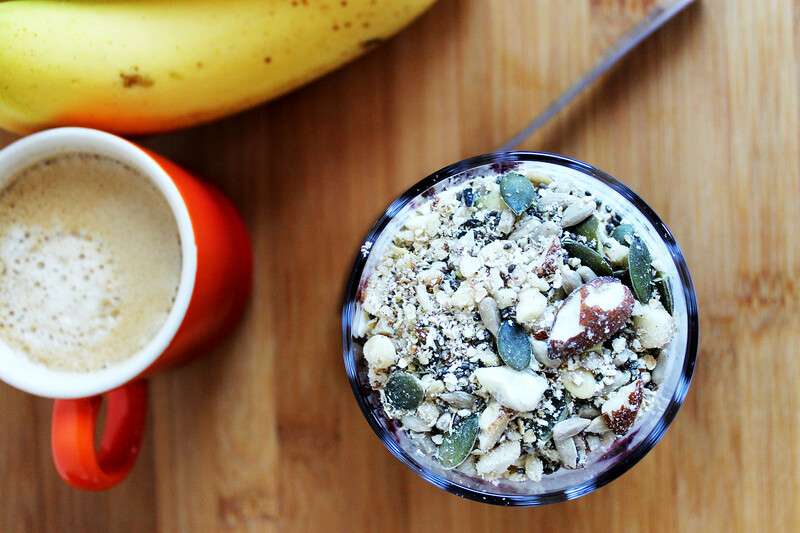 Layer the fruit, yoghurt and muesli in a little glass if you’re feeling fancy or a little container if you’re on the move. P.S Seems that researchers now think that breakfast isn’t the most important meal of the day. Still my favourite! Also, have you seen the ice bucket challenge that’s doing the rounds? If you are in Ireland – don’t forget to donate to the IMND by texting MND to 50300. This Irish Mammy didn’t quite get it!